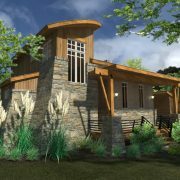 Minimalism with style, this cabin will function as a second home getaway very well on the beach, lake or in the mountains. 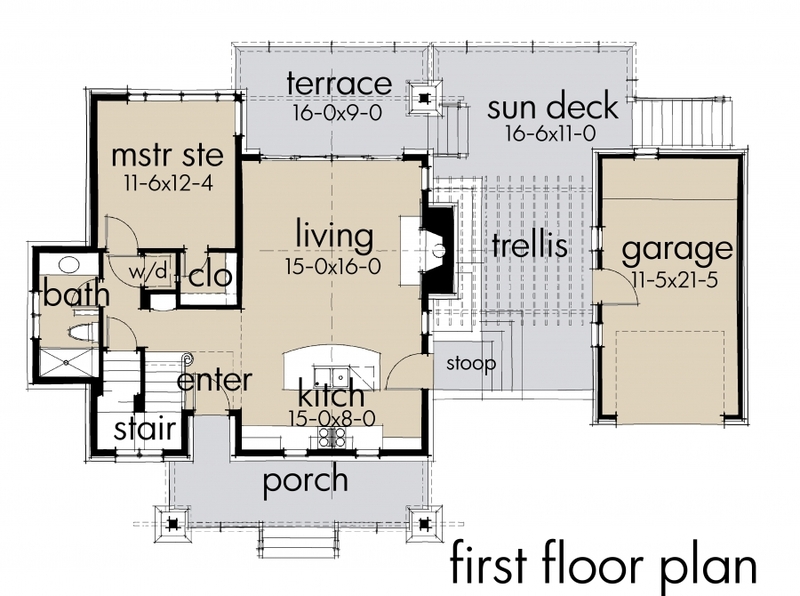 An expansive informal living area makes viewing a priority. 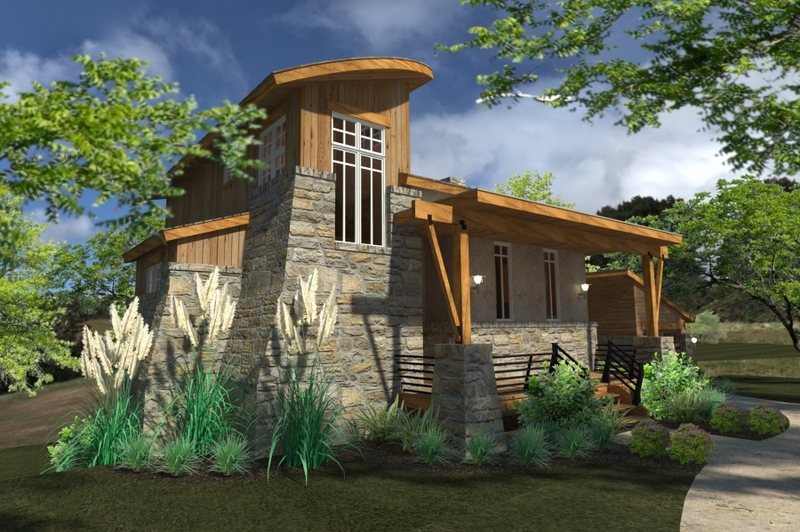 The master is compact but livable and has magnificent views as well as a walk-in closet. 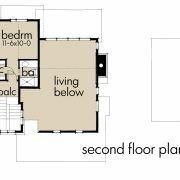 The downstairs bath provides a shower, water closet, and a stackable washer and dryer which is accessible from the hallway. 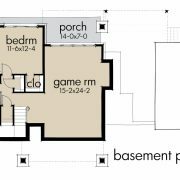 The transition to the detached garage via split level deck provides flexibility for numerous sitting and topographical situations. 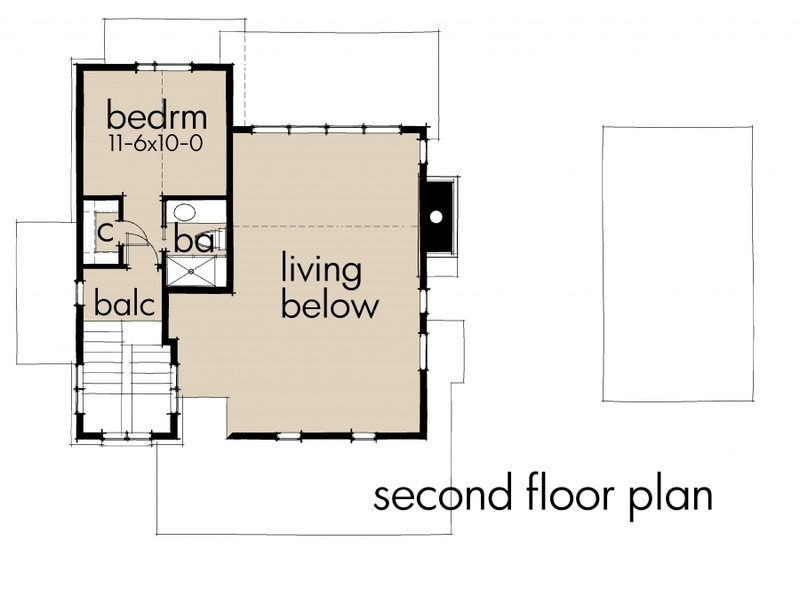 A second bedroom is provided on the second level with a full bath and walk in closet. 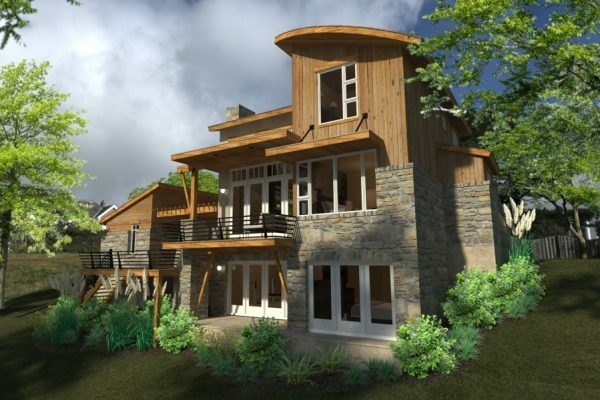 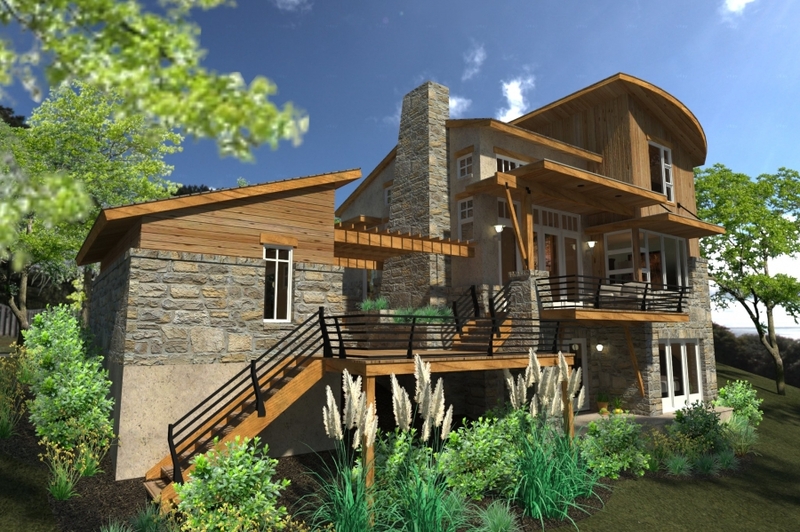 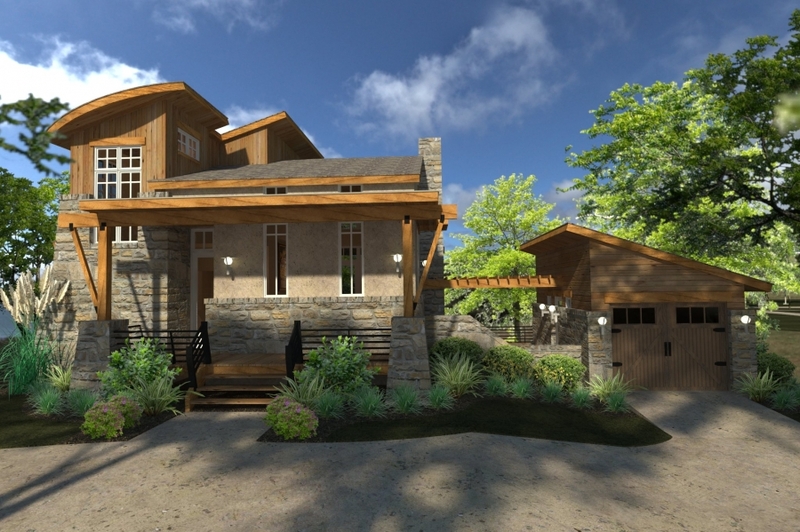 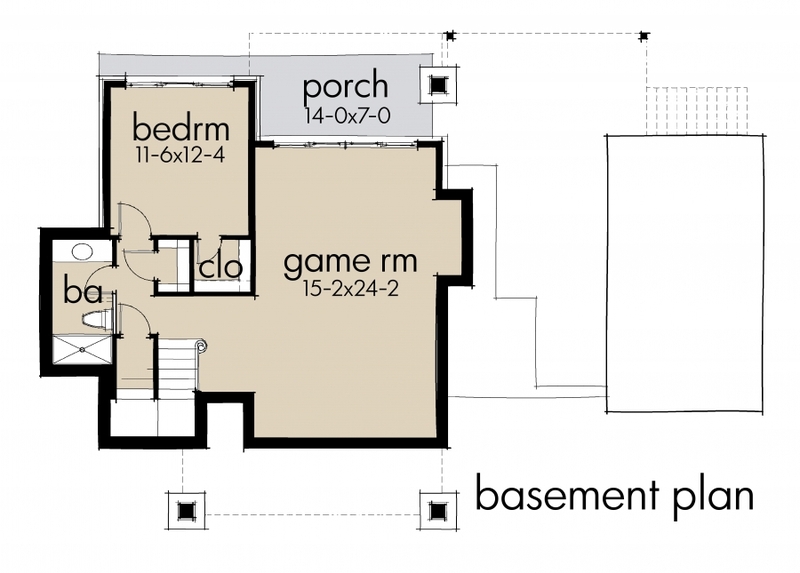 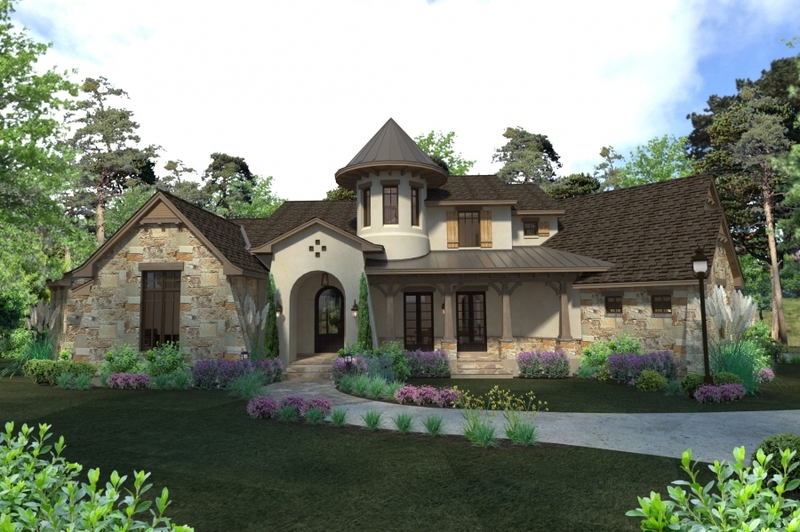 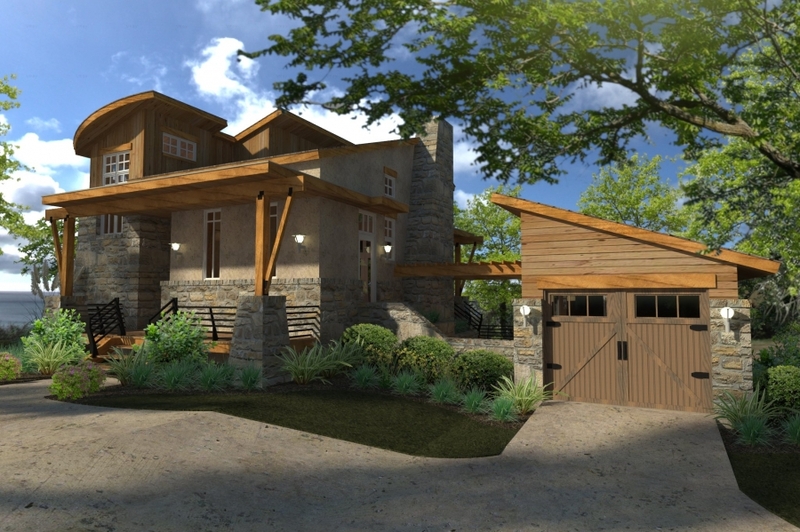 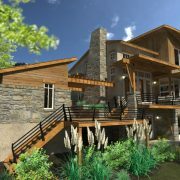 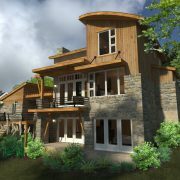 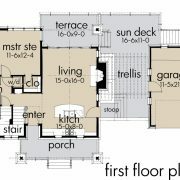 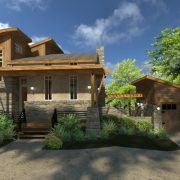 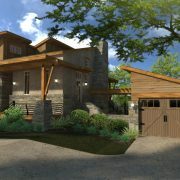 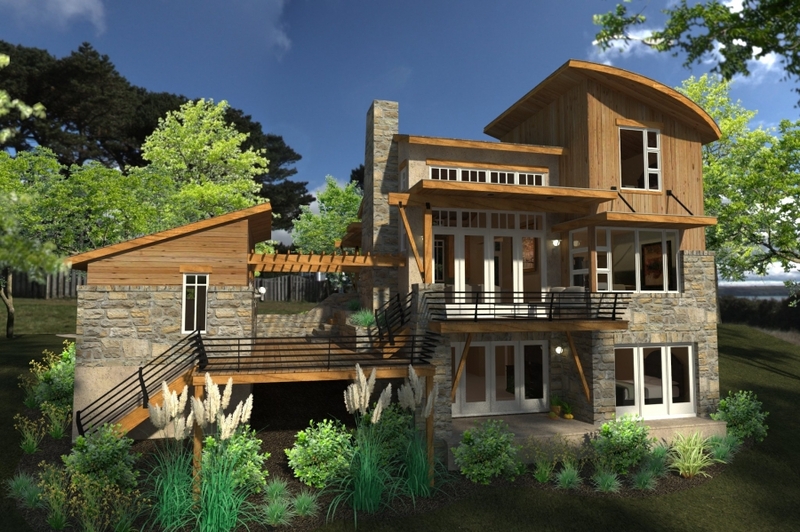 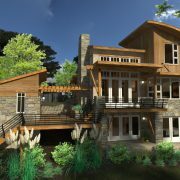 An optional lower level is designed to include a third bedroom and large game room with views/access at grade level.